A lot's happened in the camera market in the 18 months or so since the Panasonic Lumix DMC-G1 arrived, and this upgrade of the original Micro Four Thirds hybrid is eagerly awaited. The Panasonic Lumix G2 inherits many of the virtues of its predecessor – compact size, powerful optics, ease of use – but also brings some genuinely exciting new extras to the party. 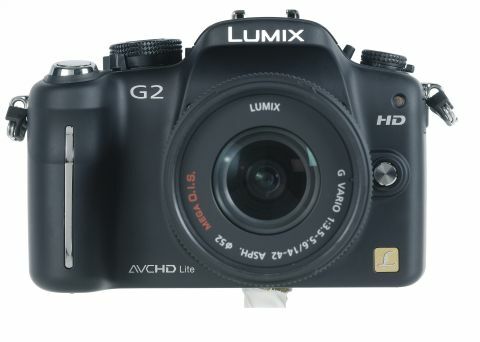 As well as shooting HD movies in the economical AVCHD format at 720p, the Lumix G2 makes brilliant use of the latest must-have in gadget land, namely touchscreen technology. Touchscreen widgets in themselves are no big deal these days, as anyone who owns a modern phone will testify, but here comes the zinger – on the Lumix G2 you can use touchscreen to tell the camera where to focus, adjust camera settings or even take the picture. Oh, and you can scroll through all your existing shots, too. Like many usability breakthroughs it sounds a bit banal and gimmicky until you actually use it – and then you wonder why nobody has implemented touchscreen technology in this way on cameras before. To set the focus point, for instance, you literally point to where you want the camera to focus on the articulated rear screen and up pops the relevant AF crosshairs. It's certainly more intuitive than manipulating AF points via a dial or button, as other camera makers expect you to do. Multiple AF points can be selected in this way, too. And, recognising the innate conservatism of camera buyers, compared to, say, the style-phone crowd, Panasonic has kept all the conventional controls on the G2. So, there's a conventional PASM dial sitting next to less familiar buttons like Intelligent Auto (a souped-up auto everything mode). The Panasonic Lumix DMC-G2 is cleverly positioned to appeal to two quite distinct markets. Its light weight and the ease of use of its touchscreen will appeal to nervous compact owners eager to try something more powerful without being overwhelmed. Meanwhile the decent optical performance, manual controls and ability to shoot HD video will appeal to more experienced photographers or people looking for a lighter, more convenient SLR replacement. As mentioned, Panasonic might have had the Micro Four Thirds party to itself back in 2008, but the Lumix G2 now faces some stiff competition. With a street price of around £650 with the 14-42mm kit lens, it's up against attractive hybrids like the Olympus Pen series and the Samsung NX10, not to mention other products in the Panasonic range, like the well-regarded Lumix GF1 and the G10. Seven hundred quid will also buy you a very nice DSLR with 1080p HD video recording, such as the Canon EOS 550D. The Lumix DMC-G2 certainly isn't an impulse buy, so how compelling are its new features?